In a continous effort to provide assistance to the people of southern Punjab, severely affected by recent floods, HOPE an NGO in Pakistan, performed a unique three-pronged activity in the region of Muzaffargarh. 1. HOPE organized and delivered ration and dry food-stuffs to as many as 600 families, all packed separately in polypropylene bags containing wheat flour, sugar , cooking oil, dry milk, tea etc. ~ enough for each family to last one month. 2. With the support of P&G, HOPE, a health oriented NGO in Pakistan, distributed thousands of sachets of P&G’s purifier of water along with water buckets and water coolers after giving the recipients full awareness and demonstrations as to the proper usage of the purifiers, storage and consumption of clean, pure water. 3. Lastly, and most importantly, two medical camps were set up at two different areas where medical help was most needed. People from near and far villages crowded these medical camps, received free medical consultations and free medicines. Patients helped ran into thousands as these medical camps were held for two full days. From amongst the countless men, women and children, the common ailments seen and diagnosed were, diarrhea, respiratory tract infections, gastroenteritis, vomiting and malnutrition. As per instructions from Dr Mubina Agboatwalla,child specialist in Karachi, medicines were provided to all the patients and instructions and awareness was given to all for personal hygiene and general cleanliness to be able to avoid contracting recurring contagious diseases. It has been a general practice of Dr Mubina Agboatwalla, child specialist inKarachi and chairperson of HOPE to organize such medical camps and provide quick and much-needed medical help to the flood affectees of Punjab. Follow ups of serious cases is separately maintained and taken care of. In conjunction to the ration distribution and medical camps / assistance was provided to the flood affected and displaced families of Muzaffargarh, lower Punjab, HOPE an NGO in Pakistan, simultaneously continued its campaign of providing pure drinking water to the flood affectees. 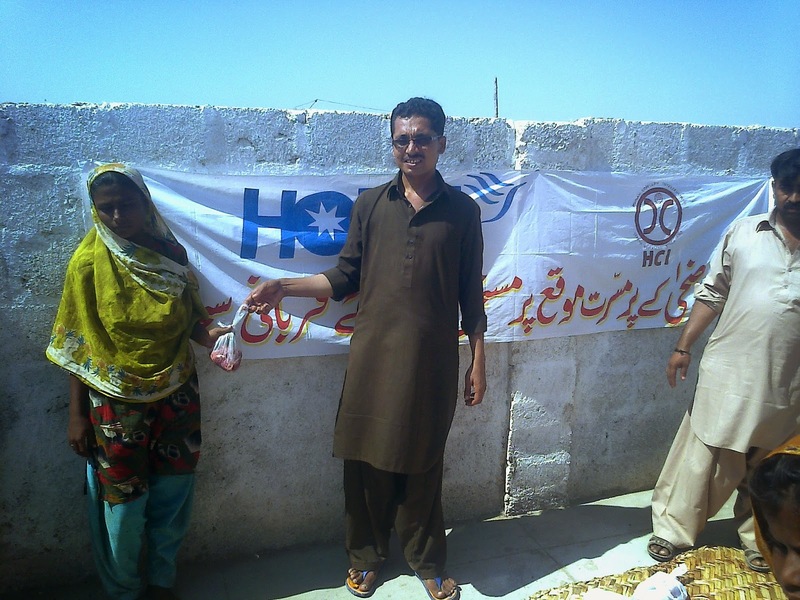 Although HOPE, a health oriented NGO, with assistance of its esteemed partner P&G, has relentlessly worked in rural areas of Sindh and Punjab to provide pure drinking water and thus safe-guard the health of the general population, set up two stations in different locations to demonstrate the usage of P&G’s purifier of water and to advise its short and long term health-benefits. It goes without saying that the one major reason for all kinds of diseases rampant in rural Pakistan is because of dirty. contaminated and often toxic water that people are forced to consume. Healthy, pure, clean water is not accessible to them. This relief expedition intiated by Dr Mubina Agboatwalla, child specialist inKarachi and chairperson of HOPE, is of great importance as a large area and a vast population is targeted for not just providing emphasis and awareness of the health benefits of consuming pure, clean water and how this could save them from many life-threatening diseases but also provide them with demonstrations in proper use of P&G’s purifier of water and proper filtration procedures. For demonstration and awareness two selected areas with very large population were targeted and proper use of the P&G water purifier sachets were explained in full details . 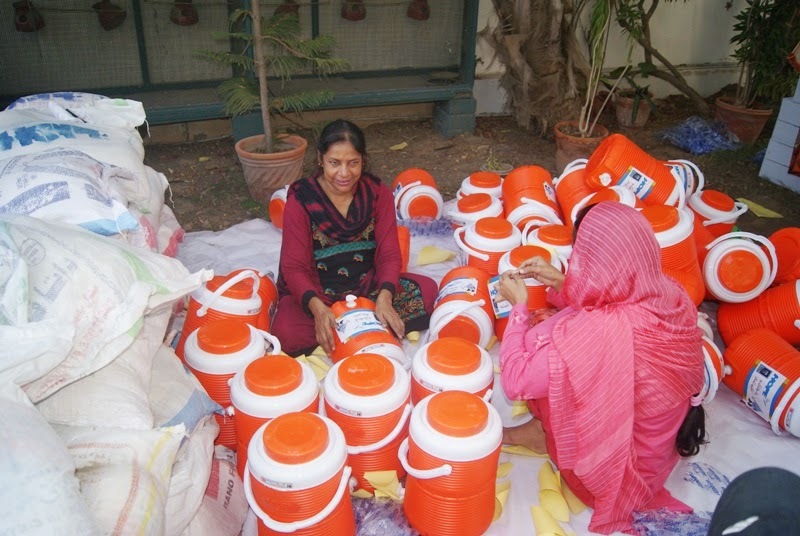 A very large number of water buckets, water coolers along with sachets of P&G’s purifier of water were distributed amongst the population free of charge, as per instructions and directions of Dr Mubina Agboatwalla, child specialist in Karachi. 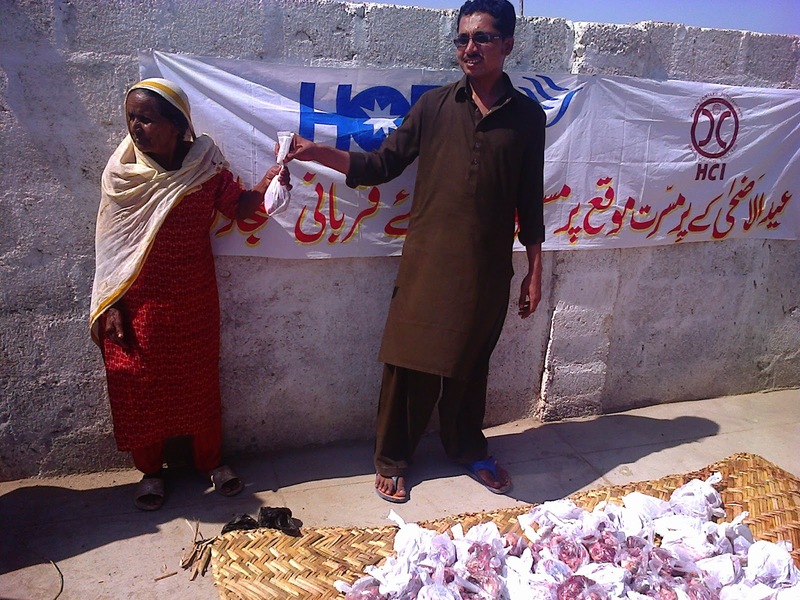 HOPE’s Ration Distribution To Flood Affectees Of Muzaffargarh. Two weeks of hectic preparation resulted finally in the departure of HOPE’s team to Muzaffargarh, by road, on Oct 09,2014. Before embarking on a grueling non-stop journey of fourteen hours HOPE’s team made absolutely sure that all supplies including medicines were in order and properly placed on the trucks for easy and systematic unloading and eventual distribution amongst the needy flood affectees. In keeping with its goals and traditions, HOPE, an NGO in Pakistan, with the assistance of its supporters made this whole-hearted, meaningful effort of going all the way from Karachi to distribute much needed ration and supplies to poor and needy families of Muzzafargarh, devasted in the recent floods and without any means of sustenanace. With a formal school already in existence in Muzaffargarh, HOPE was in a much better position to control and regulate the distribution of relief goods that was brought in from Karachi. 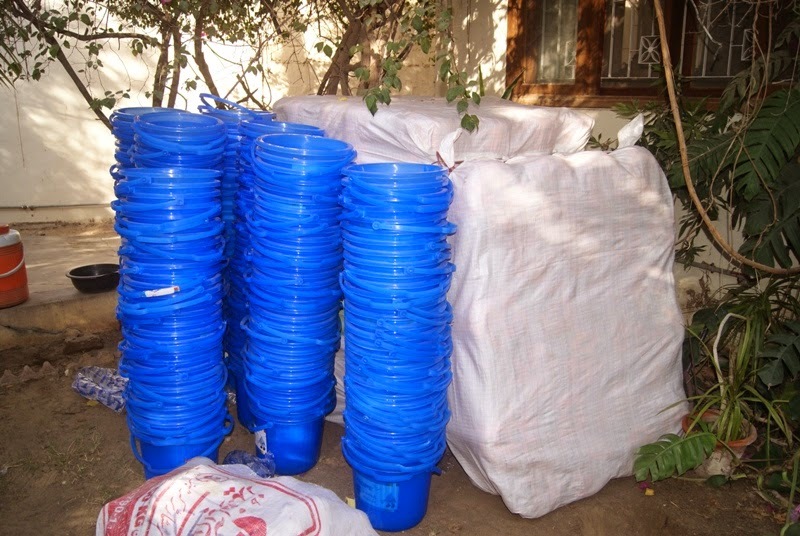 All supplies were individually packed with dry food such as wheat flour, sugar, pulses, dry milk and cooking oil etc. Medical supplies were transported separately. In preparation of this important event HOPE a health oriented NGO in Pakistan, with the help of its numerous generous supporters had gathered together a very substantial quantity of rations and medical supplies, enough to last each recipient displaced family till their safe return home and their full rehabilitation. On reaching Muzaffargarh, two areas, already identified as more seriously damaged by the floods, were selected for setting up camps for orderly distribution of the relief goods and rations. The recipients were grateful for the relief rations they received and also for much needed medicines and medical help that was dispensed to them. HOPE’s chairperson, Dr Mubina Agboatwalla, child specialist in Karachi, has always been the guiding force in organizing and implementing such relief activities with great success. Dr Mubina Agboatwalla, child specialist in Karachi, personally participated in the relief efforts and in this case too, she travelled all the way to the rural areas of Muzaffargarh to ensure that the relief activity is carried out with efficiency and maximum number of flood affectees are benefitted. The aim of sacrifice, like all other fundamentals of Islam, is to imbibe piety and self righteousness. It also promotes the spirit of sacrifice for a right cause. There is nothing dearer to Allah during the days of Eid al-Adha than the sacrificing of animals. Sacrifice, as practised by the Holy Prophet Muhammad (Pbuh) is an essential religious rite of the Muslims – replicating and comemorating the sacrifice performed by Prophet Ibraham in its truest spirit and essence. God put Prophet Ibraham to a most difficult trial, the details of which are described in the Quran. 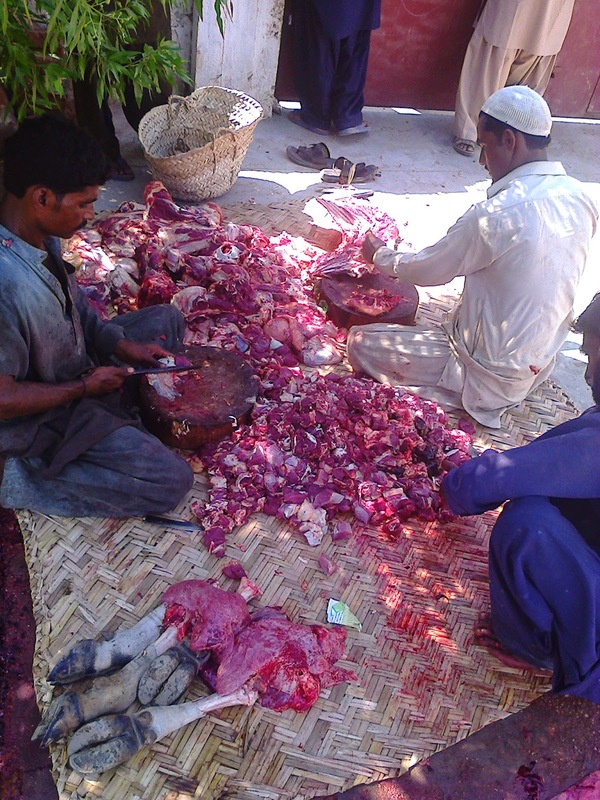 Giving meat to the poor and destitute as required when doing Qurbani spreads happiness so they may also enjoy the event of Eid-ul-Adha as a time of celebration and festivities. 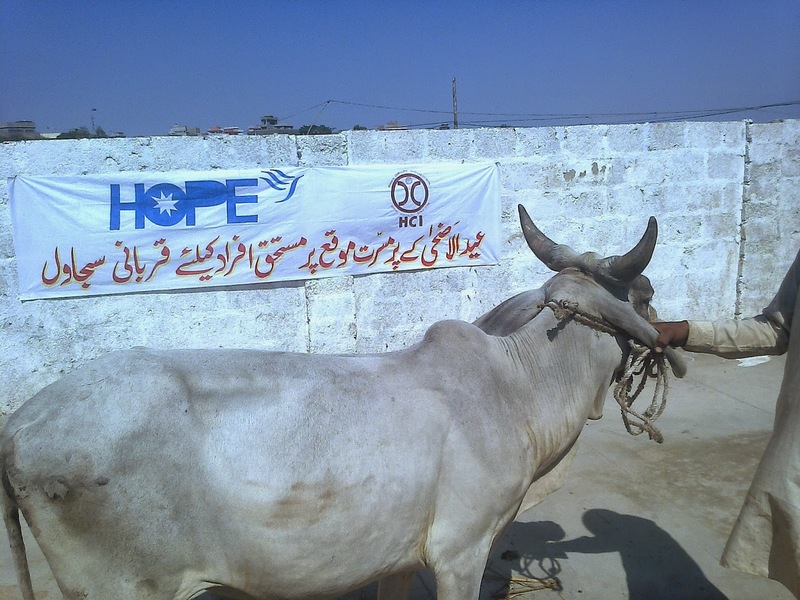 Keeping that in mind HOPE, an NGO in Pakistan, with the assistance of its supporters especially HCI of Canada, has once again upheld Sunnat-e-Ibrahimi with great reverence and performed qurbani at its Hospitals and centre in Thatta, Sujawaland Badin, and has done its utmost to spread this happiness to the poor and destitute of rural Sindh. Sacrifice of half a dozen cows and as many goats have been done and all the meat equitably distributed amongst the poor of the adjoining areas. To distribute qurbani/sacrificial meat to the poor and needy of the rural communities of Thatta, Badin, Sujawal under special instructions from Dr Mubina Agboatwalla,child specialist in Karachi and chairperson of HOPE. 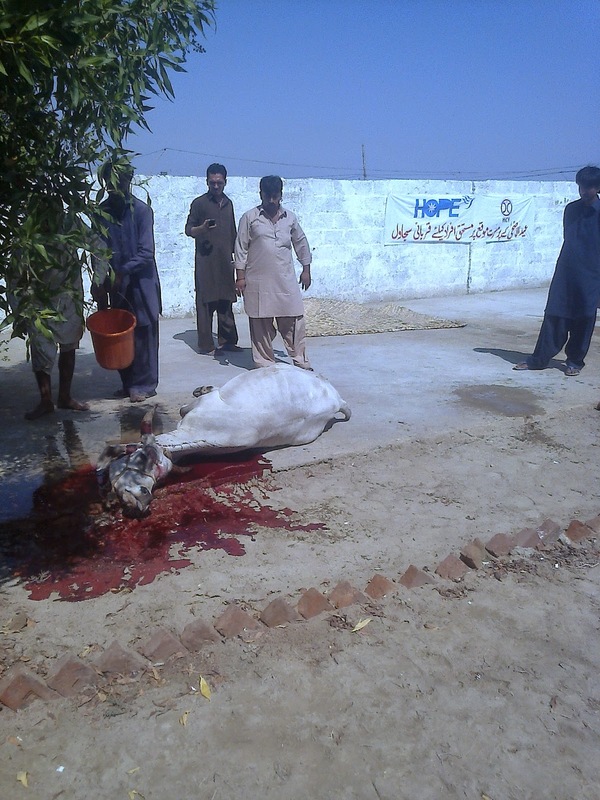 To sacrifice two selected cows in each of the three cities of Sindh where HOPE’s presence is very prominent. This activity will be guided and managed by Dr MubinaAgboatwalla, child specialist in Karachi. The spirit behind this activity was not only to provide meat to the very poor who can normally very rarely afford meat in their diets but to also encompass them in the true spirit of the celebration of Eid-ul-Adha ~ and at the same time spread the essence of piety and humbleness and set an example for other financially endowed people to step forward and help the needy not just during the Eid-ul-Adha celebration but on a continous basis. In conjunction to the ration distribution and medical camps / assistance that will be provided to the flood affected and displaced families of Muzaffargarh, lower Punjab, HOPE an NGO inPakistan, will also simultaneously continue its campaign of providing pure drinking water to the flood affectees. Although HOPE, a healthoriented NGO, with assistance of its esteemed partner P&G, has relentlessly worked in rural areas of Sindh and Punjab to provide pure drinking water and thus safe-guard the health of the general population, will be setting up stations in various locations to demonstrate the usage of P&G’s purifier of water and to advise its short and long term health-benefits. In keeping with its goals and traditions, HOPE, an NGO in Pakistan, is already in preparation to distribute much needed ration and supplies to poor and needy families of Muzzafargarh, devasted in the recent floods and without any means of sustenanace. With a formal school already in existence in Muzaffargarh, HOPE will be in a better position to control and regulate the distribution of relief goods that will be brought in from Karachi. 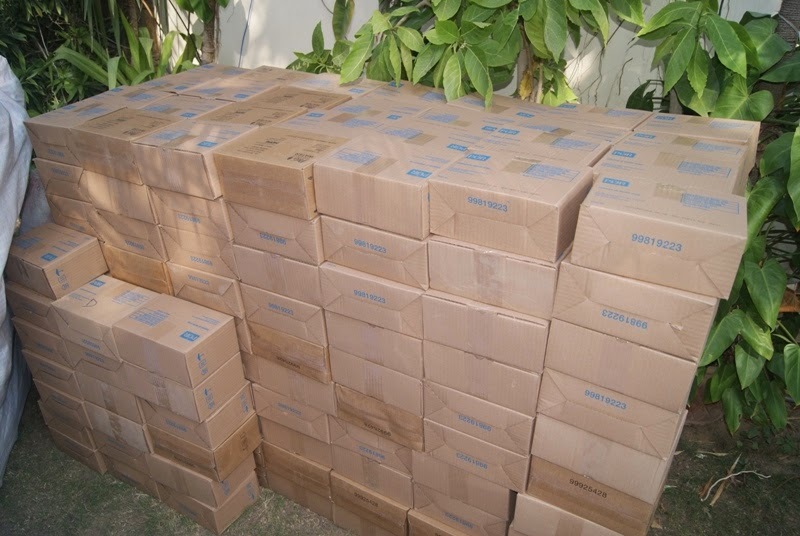 In preparation of this important event HOPE a health oriented NGO in Pakistan, with the help of its numerous generous supporters has gathered together a very substantial quantity of rations and medical supplies, enough to last each recipient displaced family till their safe return home and their full rehabilitation. All supplies have been individually packed with dry food such as wheat flour, sugar, pulses, dry milk and cooking oil etc. Medical supplies are being transported separately and will be dispensed to individual patients according to their needs by the medical teams who will set up medical camps at various strategic locations to benefit as many people as possible in need of medical attention. HOPE’s chairperson, Dr Mubina Agboatwalla, child specialist in Karachi, has always been the guiding force in organizing and implementing such relief activities with great success. Dr Mubina Agboatwalla, child specialist in Karachi, personally participates in the relief efforts and in this case too, she will travel all the way to the rural areas of Muzaffargarh to ensure the relief activity is carried out with efficiency and maximum number of flood affectees are benefitted.